Foot and Ankle Specialists of Middle Tennessee – Murfreesboro Podiatry. Podiatrist in Murfreesboro. It's only a step away. in a comfortable and friendly setting. begin at an early age. please call us, we can help! Foot & Ankle Specialists of Middle Tennessee, located in Murfreesboro, Tennessee and adjacent to St. Thomas Rutherford Hospital, welcomes patients of all ages. Our philosophy is to provide the best compassionate comprehensive foot and ankle care in a comfortable and friendly setting. We value patient education and our goal is to provide you with all of the information you need to make an informed decision about your podiatric care. We believe that informed patients make better choices regarding their health and well-being. We also believe that the doctor-patient relationship is a partnership, where we work together to form individualized treatment plans, as we understand that all patients are unique. 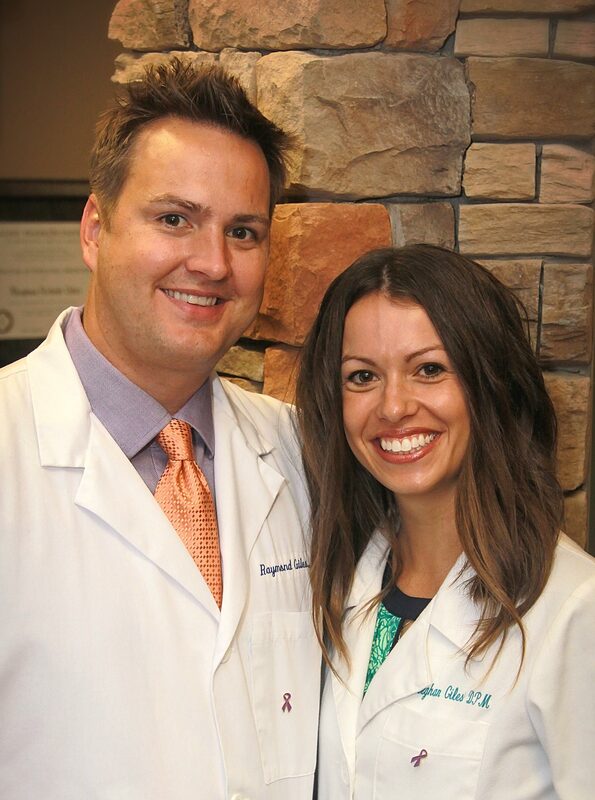 Our Podiatrists, Dr. Raymond and Dr. Meeghan are both Board Certified in Foot Surgery, as well as Reconstructive Rearfoot and Ankle Surgery. They believe in practicing evidence based medicine. By practicing evidenced based podiatry, outcomes as well as quality of life are signifigantly improved for the patient. We also strive to stay abreast of the very latest in technology and advances in podiatric medicine and surgery with utilization of digital radiography and electronic health records for improved patient outcomes as well as efficiency. Dr. Raymond and Dr. Meeghan value continuing education and maintain professional affiliations with American Podiatric Medical Association, American Board of Podiatric Medicine, and American College of Foot and Ankle Surgeons. Your feet have 1/4 of all the bones in your body. There are approximately 250,000 sweat glands in a pair of feet.